Grrr. 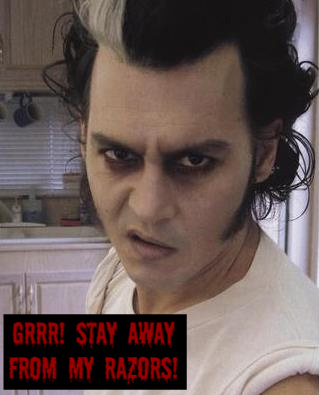 oh Johnny , he's kinda practice to make Sweeney's emotions!. Wallpaper and background images in the Johnny Depp club tagged: johnny depp actor depp sweeney todd funny sweeney todd sweeney todd funny johnny depp funny funny johnny depp lol johnny depp sweeney todd. oh Johnny , he's kinda practice to make Sweeney's emotions! This Johnny Depp photo contains پورٹریٹ, آرچر, closeup, تصویر, and ہیڈشوٹ.